On the occasion of the 13th Arabic Days, the Chicaga Group, coming from the suggestive M’Hamid (Morocco), will play Saharan traditional music with a modern twist. The Arabic Days have been organized since 2005 by the Instytutu Bliskiego i Dalekiego Wschodu Uniwersytetu Jagiellońskiego (Institute of Middle and Far Eastern Studies of the Jagiellonian University), with the intention of promoting Arab culture among young students and people coming from the non-academic world and supporting the intercultural dialogue and understanding. The main theme for this 13th edition is ‘POPkultura’ (Pop culture). The concept behind the FuckUp Nights is to ‘celebrate failure’: during each meeting, three speakers – young artists, students, and/or professionals at various levels – will present their unique ‘stories of failure’ through 10 images in under 10 minutes, because it is funny to not take ourselves too seriously! The speakers will be available after each presentation for further questions and share a beer with you! This French band composed of 25 members is going to play for four evenings at Alchemia (except for the concert on April, 7 which will be held at HEVRE). La Band’à Joe boasts a wide repertoire which includes jazz, swing, and also rock and folk covers, plus their own compositions. WHEN: Starting from 5 PM. Kino Pod Baranami, together with the Mahda Foundation, will host for the second time the Emirati Cinema Review. The week will be characterized by an interesting selection of movies of various genres – drama, documentary, thriller – produced by the most promising Emirati filmmakers of the time. For the complete list of movies, check the Kino Pod Baranami program (in English). Do you miss the folk music, the handmade pottery and lace doilies, and the delicious smell of food coming from the last Christmas fair? Nie ma problemu! 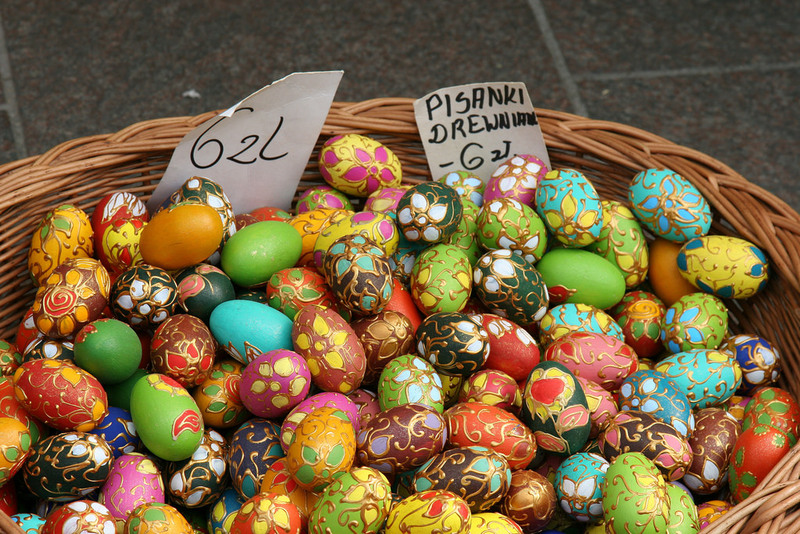 The traditional fair is coming back in the Krakow Main Square in its Easter edition. Almost 80 kiosks will be placed all around the city center, offering a great variety of traditional crafts: ceramics, Easter decorations, wax candles, wooden toys, clothes, and several Polish dishes such as pierogi, oscypek, and bread with bacon, lard, onion and cucumber. A local eclectic electronic group whose music ranges from Turkish psych to klezmer beats to tropical bass… If you’re looking for something exotic to dance to Saturday night, look no further than Kazimierz!